Welcome to the age of math marketing. Sales, inherently, has always been about numbers. But in B2B especially, marketing is increasingly asked to take responsibility for the measurable output of its efforts. Of course, there are no shortage of numbers to track and evaluate. Choosing to focus on exact sales and marketing measurement is one thing, focusing on the right numbers that help you focus and make better decisions is still another. 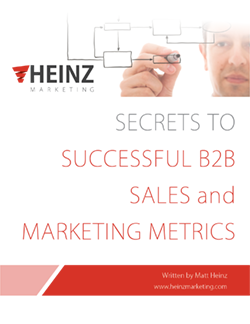 This collection of short essays and best practices span across the entire sales & marketing pipeline, and offer a specific, actionable perspective to help you start honing in on not just a better metrics discipline for your department and organization, but better improvements and results for your efforts.